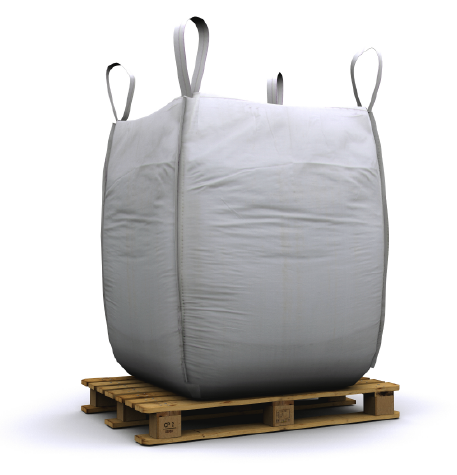 Bulk bags are one of the most common and cost-effective methods for transporting and storing aggregates. Not only do we have the largest inventory of in-stock bags ready-to-ship same day, our bags can be fully customized to fit any transportation method and application such as sand, soil, filter media, and blast media. We typically recommend U-Panel bags with a coated fabric. Since the bags are generally used to transport products raining between 3,000 to 4,000 pounds, the bags will require a heavy-weight fabric, safety perimeter band, and/or reinforced webbing to safely support the weight.